The making of Great Houses of Havana was a hugely rewarding experiences that allowed me to draw on my professional experience and my Cuban roots to connect to the island, generating great pride in these houses and the sophisticated Cuban culture that gave birth to them. In this book I am presenting the human stories behind a century of exceptional Havana houses, and I hope the reader is able to sense the excitement I felt on entering a house I had “coveted” for months and to feel my delight in serving as guide to life inside. It was particularly rewarding to introduce this architecture to the young Havana photographers who worked on the project. And nothing surpasses the emotional experience of interviewing the residents of a great house while sitting in the home their family built generations ago. During two years of research, I realized that the architects, historians, and present and former homeowners I was meeting had been waiting for five decades to share their reminiscences of the city’s famous houses. Their recollections and anecdotes always evoked the vibrant Havana lifestyle they had experienced and still longed for. Throughout these interviews, I was reminded of the stories I had been told by my own Cuban exile family in Miami as they recalled their life in Gibrara, a small town on the island’s northeast coast. My personal concept of “home’ was shaped by my maternal great aunts, who played an important part in my upbringing after the death of my mother. In their daily conversations, las tias referred to earlier generations of our family as if they had just left the room. In the photography albums they had brought from the island, the family houses and its waves of occupants came alive for me. In these pages, I admired images taken by my great-grandfather Joaquin Lopez de Quintana Gurri, a late-nineteenth-century photographer and photojournalist, as well as pictures by two of his daughters, my great aunts. Joaquin’s photographs captured the life of his community and the intimacy of the family home at a time when Cuba still felt very Spanish. One generation later his daughters documented an increasingly Americanized Cuba, the result of decades of US commercial and cultural influence. These albums accompanied by family reminiscences instilled in me a love of vintage Cuban photographs and an appreciation for the wealth of information they contained regarding family life. The island’s homes, from urbane Havana to rural Gibrara, shared unmistakably Cuban characteristics that were captured in these images. That formative exploration of family history together with my profession as an architect specializing in residential design has shaped Great Houses of Havana. Here, I am presenting portraits of houses and their builders in order to tell the story of Havana’s architectural patrimony. 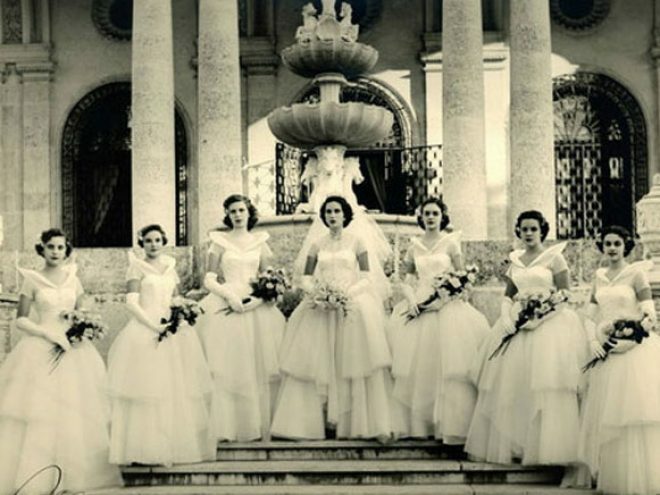 Each portrait is an appreciation of a unique way of living in the Cuban home, focusing on the family life of earlier generations in order to illustrate the island’s architecture at different moments between 1860 and 1960. Each house has something compelling to say about Cuban home life at a moment in time. It was important to present these houses in their neighborhood content, to describe the social life of clubs, churches and schools these homeowners enjoyed and to focus my tour on the important connection between the architecture and the interior decoration. In addition to social history, this group of houses reveals the development of Cuban architectural style from the traditional Spanish Colonial courtyard house to the assimilation of fashionable European and North-American design trends from the tenets of Beaux-Arts classicism to local manifestations of art deco and eclectic revivals. Havana followed step-by-step what was occurring in the international design scene, since connection to the contemporary world has always been important for Cubans. This progression culminated in the mid-1950s with the uniquely Cuban tropical modernist houses that adeptly reconciled the latest international design trends with construction elements from the island’s colonial traditions, this balancing foreign design influences with the quest for national identity. Following the revolution, priorities shifted in Cuba and the building of private homes decreased. Havana saw herself as an international city, with sugar prosperity financing impressive public works projects as well as many of the houses presented here. It is my hope that this book will generate curiosity about Cuba and encourage further conversation about the city of Havana, whose unique sense of place results from its myriad neighborhoods, beautiful sea views and tropical vistas, and world-class houses that constitute an archive of every significant architectural style of the twentieth century. In GREAT HOUSES OF HAVANA: A Century of Cuban Style (The Monacelli Press, November 2011) architect and author Hermes Mallea gives the first-ever insider’s tour of Havana’s architectural gems. Great Houses of Havana brings the reader inside never before published homes, presenting their fascinating personal histories alongside Havana’s architectural patrimony. Great Houses of Havana invites the reader to experience the privileged life within the gated mansions of the city’s grandest neighborhoods. The book is unique in incorporating the reminiscences of eye witnesses – architects, historians, present and former homeowners “ whose memories of mid-century Havana were on the verge of being lost. These anecdotes bring alive the larger-than-life personalities including sugar barons, a rags-to-riches newspaper magnate, a lady anthropologist, an influential arts patroness and the hostess to the early Jet Set. Mallea, a Cuban American expert in residential design, presents portraits of important homes built in the city between 1860 and 1960, beginning with the extraordinary images taken by American photographer, George Barnard, who was permitted to bring his camera into the intimacy of the Palace of the Counts of Santovenia. These pictures set the standard for giving the reader access inside a famously closed world. For over four hundred years, Havana was the center of Spanish trade in the western hemisphere. With the expansion of the sugar industry, independence from Spain, and North American investment, Havana became a city of great wealth, great style, and great houses – the Paris of the Caribbean “ with impressive public works projects asserting the city’s international standing. As a result, Havana is an unknown treasure trove and archive of twentieth century architectural style “ since Cuba followed step-by-step what was occurring in the international design scene. Great Houses of Havana traces that development of Cuban homes from the Spanish colonial to the assimilation of fashionable European and North American design trends – culminating in the uniquely Cuban, Tropical Modernist houses that reconciled international style with the island’s colonial traditions. The book celebrates 100 years of Cuban creativity, design and style in the greatest residences of Havana. Mallea, a collector of vintage Cuban photography, has also uncovered photographs from private collections of the home owners. These period photos reveal intimate scenes of weddings, celebrations, and personal moments in the life of these great houses. They also chronicle Havana’s social history, including the clubs, churches and schools, fashionable hotels and weekend resorts that were part of the sophisticated lifestyle at that time in Cuba. Great Houses of Havana will appeal to readers interested in architecture and interior design, social history, fashion, travel, climate responsive design and historic preservation. Mallea’s Havana is the true insider’s Havana “ neither the rum and rumba city of pre-revolution tourists, nor the frozen realm of antique cars and romantically decaying houses popularized in the recent past.